So last night I had this weird dream in which I was auditioning for something and did not know ANY of the lyrics. I had to stop – it was so embarrassing – and tell the judges that I couldn’t remember any of the song (and I had just been coaching someone else on the very same one!) and that I would have to come back later. 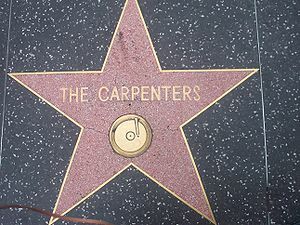 The only song I could think of where I knew all the lyrics front and back was “A Song For You” sung by The Carpenter’s. After rehearsing it in my mind a few times – I ran back into the room and said – “I’m ready!” Because I know it so well – I was able to sing it with clarity and emotion – and NAILED IT. Below is the song that even in my dreams I am able to bring to a quick recollection. Have you ever done something in your dreams you would never do when you’re awake – like audition when not ready? Karen has a voice I think of her and think -ohhhh what a voice of an angel! Agreed! One of the best ever!